How about you? What part of the challenge do you plan to continue or discontinue? Are you looking forward to the end? What do you think will be the first thing you’ll eat after January? Stay tuned for Friday, where I’ll do a really quick final thoughts post and recap of the final few days. :) Until then! I loved reading this series! Very detailed. I have also been trying to up my vegetable intake and be mindful about food waste so this article was relevant for me. Oh, and the store only had fat free Greek yogurt. I prefer 2% Greek yogurt for sure. Good job sticking with the challenge despite the stresses you’ve been facing. I agree that comfort food is a part of health, mental and physical. Feeling restricted makes it difficult to sustain what you’re doing. I do hope you continue to try to incorporate more vegetarian eating and meals, in a way that makes sense for you and your lifestyle and without the added burden of having to log it all. I love that you’ve been doing this challenge and have been reading along. Yeah, getting in all those veggies can be a bit tricky when you’re not feeling great, but sometimes you have to go easy on yourself. There’s always next week. Definitely true about that popcorn! And that’s one of the challenges of being a food blogger… Sometimes I cook food specifically for the blog, but then I eat it because I don’t want it to go to waste (like that second batch of popcorn). Hahah! 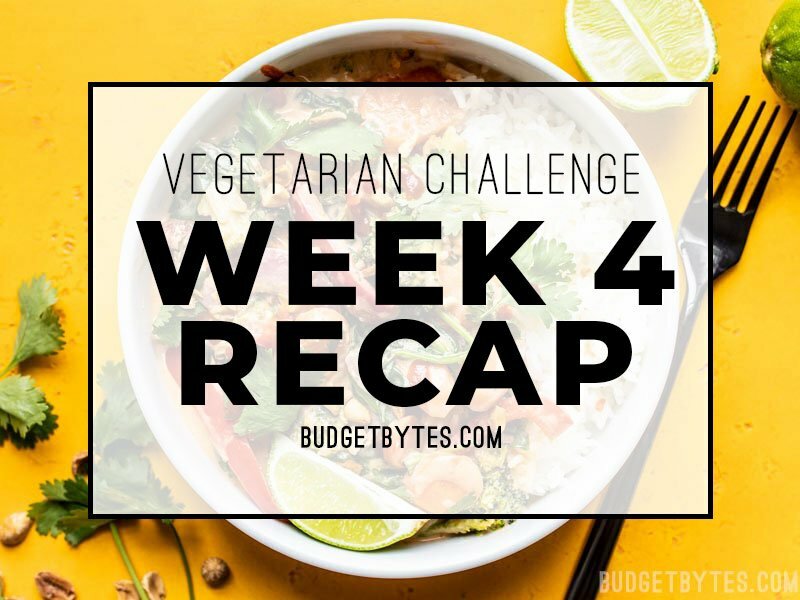 I didn’t do the full challenge – my husband likes his meat and I didn’t have the energy to cook separate suppers – but I did eat vegetarian for breakfast and lunch all month. I really enjoyed trying new recipes as well. I am going to try to keep up the vegetarian habit for another month. Thanks, Beth, for providing the inspiration! Thank you! And good job with the breakfast and lunches! With today and tomorrow to go, I’m looking forward to eating out this weekend and having animal protein again, but have decided that it will definitely play a smaller role in the future. 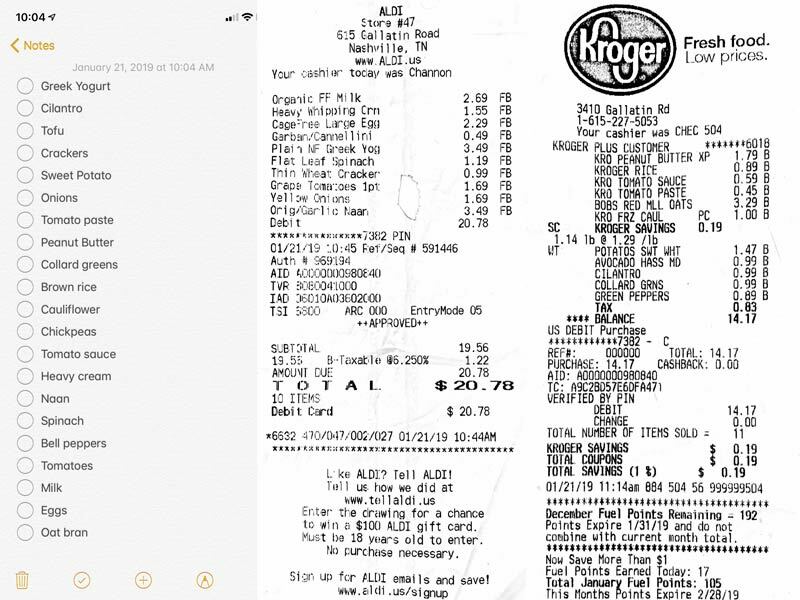 I was surprised at how much money I saved–I spent under $200 on groceries (Aldi & Harris Teeter) for the month for 2 of us (retirees–21 meals) and that included a couple of bottles of Aldi wine ($6.99 each for delicious Stormchaser Wild Ride Red) and household and personal care products. 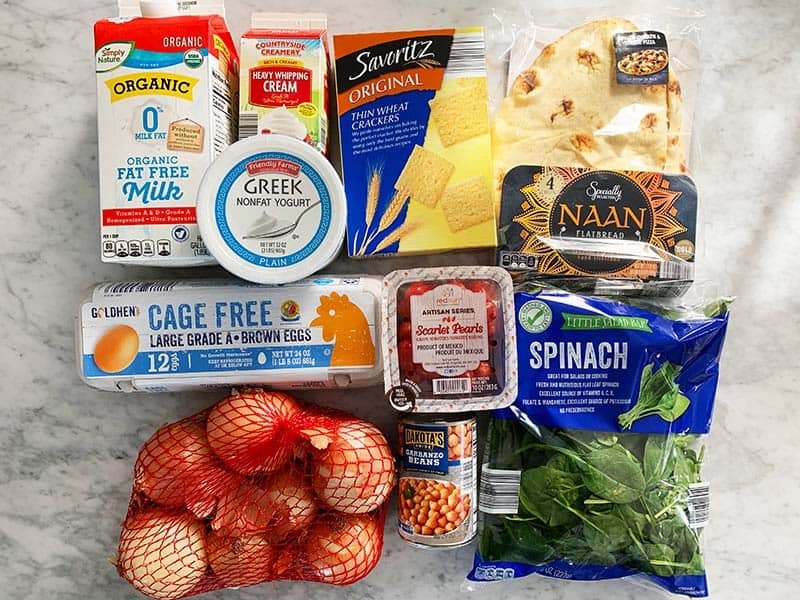 That savings was not only due to eliminating meat and seafood, but a result of better planning and more careful shopping–we certainly included luxury items in the mix. Other benefits: I lost 3 lbs without thinking about weight loss at all and never feeling hungry–the whole Nov/Dec holiday gain. Maybe because we ate so much soup–I still have plenty in the freezer, even though we ate it 3-4 times a week, either lunch or supper. We mostly ate one dish meals, ie casseroles, quiche/frittata/Spanish tortilla, entree salads, and stir fries. 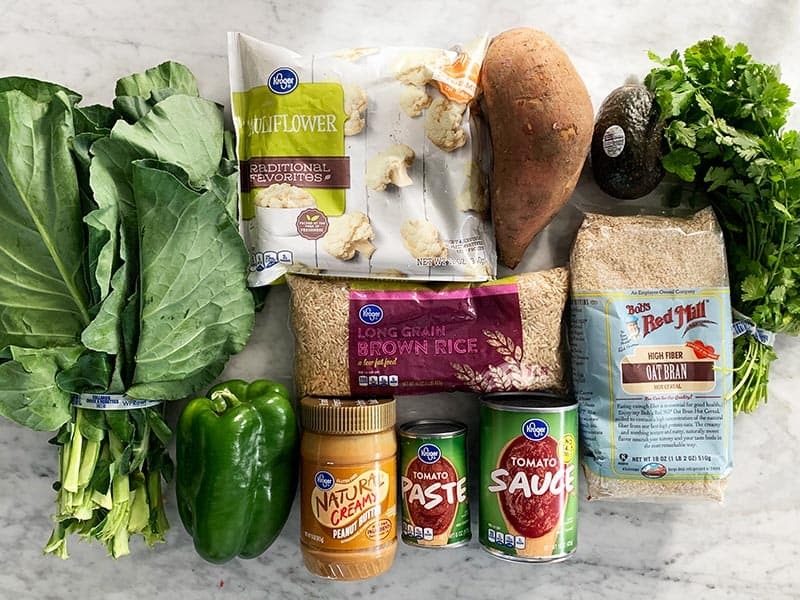 I discovered some wonderful new recipes and ways to cook, not only Beth’s ideas, but things like accidentally watching Bobby Flay roasting eggplant–a jumping off point to lower fat eggplant recipes. Snacks were fruit, hummus, cheese, yogurt, and crackers–and Beth’s popcorn. DH was skeptical so I told him he was free to grab a burger or other meat item whenever–he stuck with me the whole month. As only a personal challenge, we could leave any time. We did start 1 day late due to New Year’s commitments. It was fun–I tried some new things, but mostly adapted recipes we already enjoyed, so the transition wasn’t overwhelming. Thanks, Beth, for a terrific January uplift. 21 meals per week, not just 21 meals for the whole month. And I started the month with a well stocked pantry, full of dried pasta, rice, canned stuff, frozen fruits and veggies, condiments, herbs & spices including potted fresh herbs, etc. It isn’t much diminished as much of what I used was replaced. That’s so awesome, Janet!! Thank you so much for sharing your results with me, I love hearing it. It sounds like we had very similar experiences. I saved a lot of money and lost a couple pounds, but I think both of those things were largely due to the extra planning and intentional eating, vs. grazing and mindless eating. :) Thank you, Janet! I loved reading about your experience, too, Janet! My household is myself and my husband, too, so I can appreciate your cooking for 2 experience. 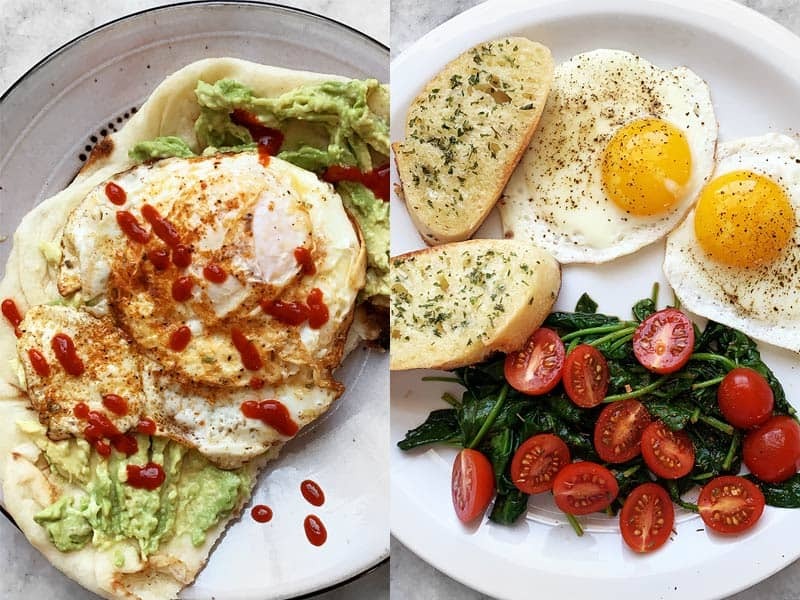 I tried this fried all of the above recipes in my weekly routine . WOW! The dishes were so so yummy! Your unspecified chia/flax/oatbran breakfast sounds tasty – what are you doing there? Is it a porridge, or just everything piled into a bowl together? Sometimes I love the non-recipes as much as the recipes. As always, thank you for the recipes! I think one of the biggest take away from this challenge is that you need less food because vegetarian diet fills you quicker. Sometimes I felt like I was hungry later but over time that went away. This is a good thought as it takes much less disturbance to the earth if we eat less meat. My favorite meal was the Spicy sweet Tempah and Polenta! My husband could not stop talking about it! I agree! A lot of people have commented on how little I eat, but most of those days I seriously couldn’t stomach more food because I was so full. :) It’s such a different sensation. My blood sugar seems to have really leveled out, too. I don’t get super hungry like I used to. It’s always much less intense. I was so excited for this challenge. I only ate meat a few times a week, but learning to cook completely without was a challenge. 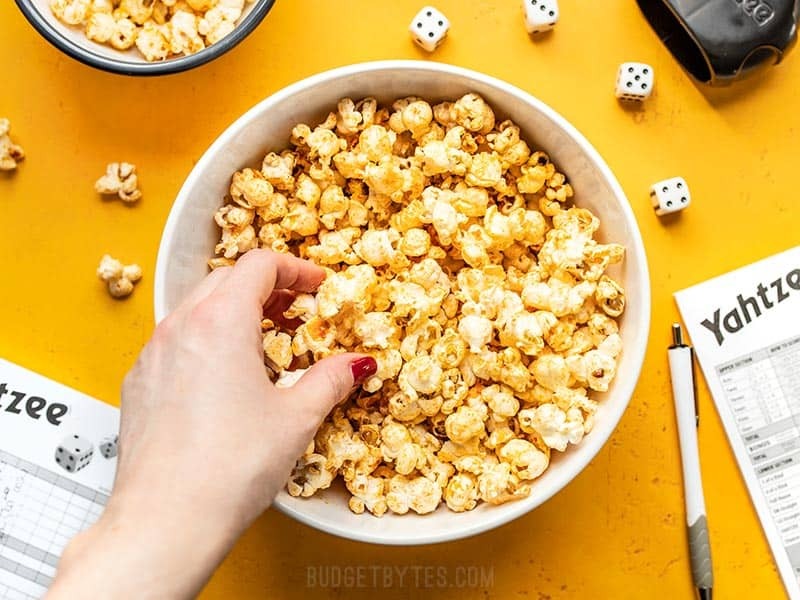 I’ve tried so many new Budget Bytes recipes this month! I had never cooked with some of the ingredients (like lentils) before, and the heavier bean intake took awhile to adjust to. I’m finding I’m eating dramatically more vegetables and fiber and feeling better. My kids love most of the new recipes so I’m going to keep it up. 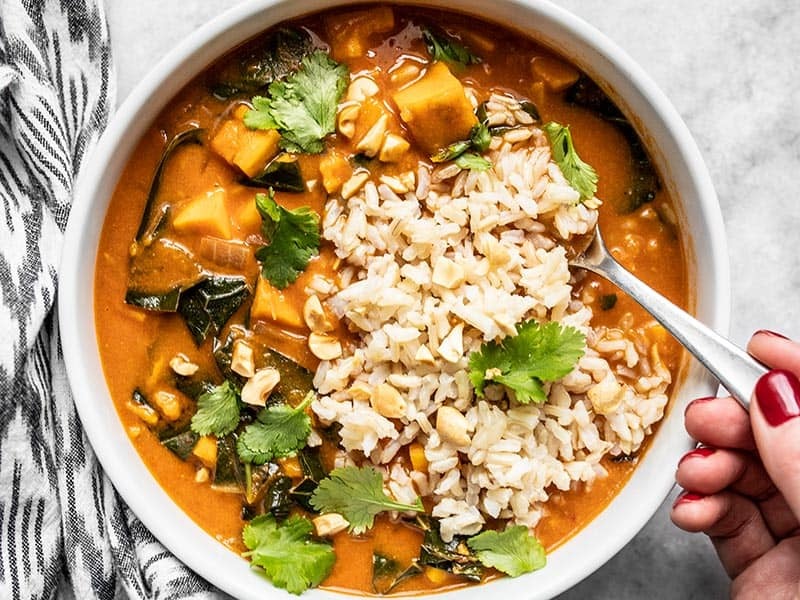 I hope you keep posting new vegetarian recipes once in awhile, it’s been incredibly helpful because your recipes are simple and come out delicious.